The True Family Women’s Cancer Care occupies two floors of the Arnold Pavilion at the Swedish Campus on First Hill. 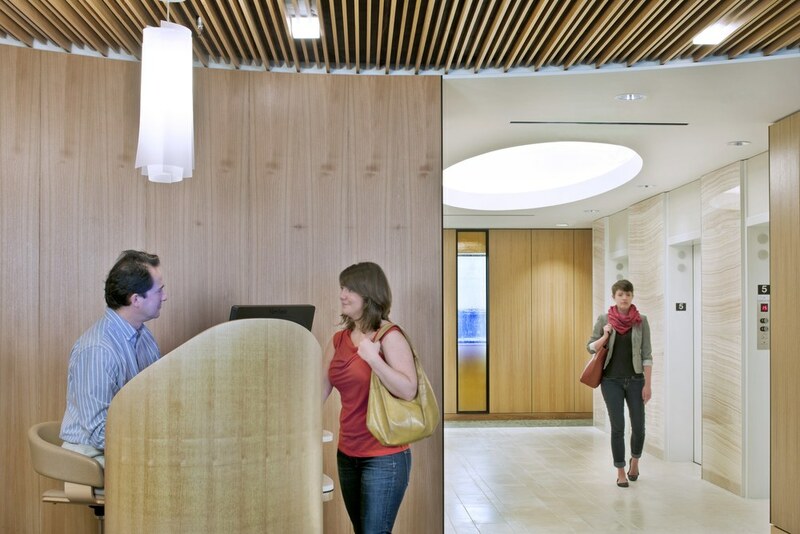 While the 25,000 sf project needed to accommodate the prescribed number of offices, exam rooms and supportive services, the lobby and reception areas provided a unique opportunity to craft a comforting patient experience akin to the healing qualities of a spa. Undulating curves overlap to create a welcoming gesture and to convey a nurturing serenity. Lair Design not only provided concept design leadership for these spaces but carefully detailed them for inclusion in the architect’s working drawings. The harmonious material selections feature limestone, onyx, wood paneling, steel work and venetian plaster. Soft drapery and integrated seating solutions complete the design. Within an extremely compressed time frame Lair Design selected and created bid documents for the furniture package of this project, providing leadership well into the production of the individual pieces.